One year into my parents’ marriage, my dad was diagnosed with a rare, rapidly-progressing form of cancer. Chelsea Maxwell with her parents and brother at her high school graduation in 2013. Just married with plans for the future, they had bought a house, taken on a mortgage and established themselves in jobs that could finance their dreams for a family. My mom, in her mid-twenties, went from newly-wed wife to caregiver. She went from having all of the time in the world to racing against the clock. Dealing with uncertainty and loss is always hard. But doing so without support from community can make it feel especially lonely. With limited vacation time and no access to paid leave, my mom did what she felt was necessary: she continued to work her full-time job for the entire duration of my dad’s cancer treatments, all the while wishing she had more time to care for my dad. Even without a life-altering diagnosis, how many times a week do we each wish for a little more time? Faced with competing callings and responsibilities, we all know what it feels like to be stretched thin. We all know what it is like to wish for more time–more time before an approaching midnight deadline, before kids ask for dinner, before goodbye. Over the next several months, the Time to Care series will share the stories of families experiencing tension between work, family and time. There are phases of life when our fight with time is beyond our control, such as facing a potentially terminal illness. However, there are other experiences that are not innate, but rather are the product of injustice in society. This series is about the latter. Time to Care is attentive to the impact of work culture on family time and caregiving, with special concern for families facing economic instability. The families contributing to this series reflect on seasons of family care, such as birth or adoption, as well as seasons of crisis, such as sudden illness or injury. Time to Care is an invitation to reflect on the challenges families face and discern what justice requires to ensure all families have the freedom to flourish. Our jobs have eclipsed our lives. Workers today face pressure from their workplaces to be constantly accessible. Anything less and the worker is viewed as unproductive, uncommitted or worse, disposable. The perceived needs of the economy are overwhelming the needs of workers and their families. These current cultural conditions inhibit families from fully flourishing, and they disproportionately devalue families with workers in low-wage jobs. Families are crucial to human wellbeing. However, the good and important responsibilities of families require time. Early childhood in particular illuminates the central role family time has on lifelong health and development. The rhythms of family life are inherently valuable. They are also important to child development and maintaining family cohesion. Time to read together, to eat together and to talk with each other are part of the rhythms of healthy family life. Workers in low wage jobs are most likely to have nonstandard and unpredictable work arrangements and least likely to have access to the modern workplace benefits that support families, such as paid time off, paid family leave and flex-work privileges. Thus, these workers face substantial challenges to providing their families with the time necessary for their wellbeing. The Family and Medical Leave Act (FMLA) is the only piece of federal legislation in the United States protecting workers in need of time to attend to family responsibilities. However, FMLA has many limitations. For example, it protects a worker who takes leave for family care but does not provide or ensure paid leave. This means that workers who do not have enough paid time off saved will need to forgo income when they take time off to care for a family member. Workers living paycheck to paycheck, and those who have not been able to build savings and assets, are left behind. Some families, although financially unable, ultimately have to take unpaid leave and report taking on debt, accessing public assistance and putting off paying bills to cover the lost income. My mom qualified for FMLA when my dad was diagnosed with cancer, but as a young, newlywed couple with a mortgage, forfeiting her wages was unthinkable. There were scary moments where she wasn’t able to be with him because she had to work to keep them financially afloat. There were nights she slept on a hospital couch because that was the only time she was able to spend with him. The importance of family time extends beyond early childhood. Family time is important in seasons of birth, bonding, illness and aging. Parents nurture children. Children honor aging parents. Spouses love each other in sickness. The need for time to provide care is universal. The ability to take time away from work to provide care is not. We will all be called upon to care, but not all of us will be allowed to take the time we need to do it well. What does it mean to seek justice for families? Conflict between work and family will persist if we do not intercede. Some limits on work currently exist, such as workplace condition standards and job-protected leaves. These are important, but they are not adequate in supporting a thriving family life. My mom was a worker with all of the federal-provided protections, but she still was forced to choose between going to work or providing care. Work must have boundaries that respect the diverse callings God has gifted us, including the calling to families. Family-supportive policies enable all workers–from the lowest paid wages to the highest–to participate fully in the diverse activities that make for human flourishing, including work, rest and caregiving. These policies can be implemented in individual workplaces and government, changing the norms that guide our work culture. A little more time, please? We all know what it feels like to be pressed for time, wishing for a little more time to rest, time to play and time to care. Although the steps necessary to transform work culture and support family time are neither simple nor straightforward, this is a shared challenge deserving of a shared response. We will all need time to care eventually. But as of now, our ability to fulfill our work and family responsibilities well will be dependent on our job and class status. 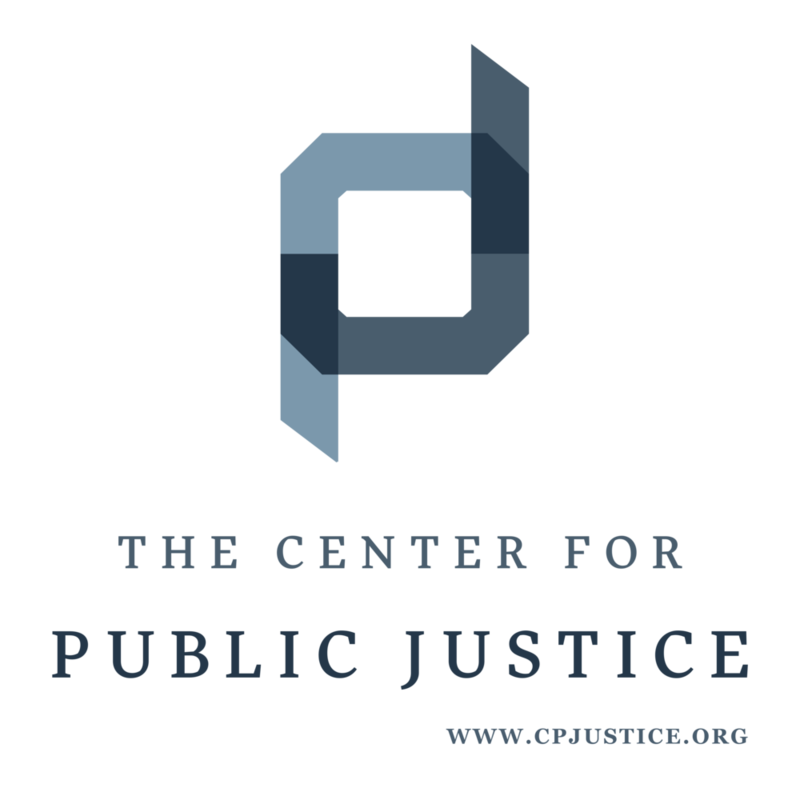 Shared Justice and Families Valued, initiatives of the Center for Public Justice, are partnering to tell the stories of workers and families that illuminate injustice within our country’s work culture. Grounded in the belief that family is foundational and that the need to dedicate time to family caregiving is universal, the Time to Care series will share the stories of families living in the tension between work, family and time. Societal conditions and work culture impacts all of our families and communities. Our work is shaping our lives. My family is not an exception, and neither is yours. Throughout Time to Care, we want to hear from you. How has your family navigated work and family responsibilities during critical seasons of family care? How are families in your church managing? How are families in your community faring? My family has struggled. Has yours? Time to Care is the beginning of a conversation and journey. Join us as we pursue time to care for every family. Chelsea Maxwell is the Program Associate of Families Valued, an initiative of the Center for Public Justice, and the contributing editor of Time to Care. To share your story, email chelsea.maxwell@cpjustice.org or reach out at www.familiesvalued.org/connect/share-your-story/.